Out of curiosity, I called to find out what their definition of “foreigners” is, and confirmed that it means Caucasian males. 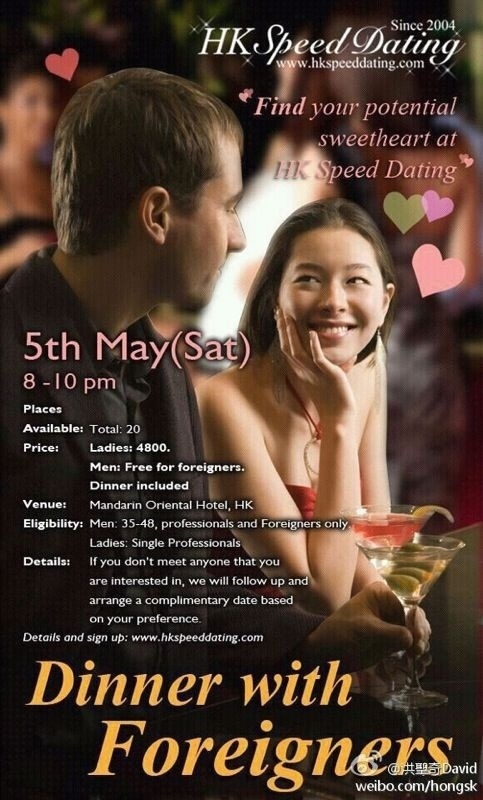 Upon further research, the reason why foreign men get to attend for free is because the event is sponsored by a German banker, who met his wife in one of these events and wanted to give “others” the same opportunity. Also note that $4800HKD = $615USD. Seriously, only in Asia.